Today Is Tax Day, So File Or Be Punished! 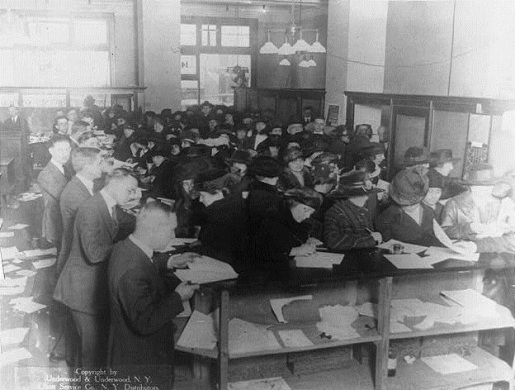 Even in 1920, everyone waited until the last minute to file their taxes. Normally, April 15 is the deadline to file your taxes. However, this year April 15 was a Sunday, and Monday was a holiday in some parts of the United States. Thus, there’s a new tax deadline, and it’s April 17, 2012. That’s today, people! Today is the deadline to file your taxes, so prepare yourself for crazy lines at the post office and lots of last-minute number-crunching. ABC News has put together a dos and don’ts list for the last minute tax filer. Nobody likes taxes, and I can understand why so many people don’t want to bother with filing that information and whatnot. However, I think that paying them is easier than not paying them. So, I suggest paying your taxes or else something bad might happen to your beloved pets.